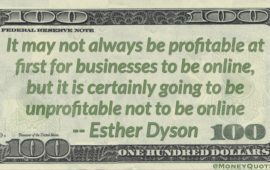 We all know that businesses have to sell to survive, let alone prosper. Most businesses will have some sort of specialist sales function, but this could be a small percentage of the total number of employees. If non-sales people, who have contact with customers, could be trained to promote your services or products in an appropriate way, how much extra business could that generate? Those not directly involved in sales often have preconceived ideas about selling and sales people and a lot of those ideas are negative. The word, ‘salesperson’ itself has certain connotations. Pushy, spivvy, lack of integrity, questionable honesty to name just a few. And what’s a good salesperson? Well maybe someone who can palm you off with something that you don’t want. We think of such things as double-glazing and time-share and there are lots of horror stories about people’s experiences from dealing with such unscrupulous sales people. The word, ‘selling’ conjures up all of these images and it’s not an image that many people want to be associated with. So the first thing that we need to make clear is that relationship selling is a very different thing. With relationship selling, you do not sell anything as such. You ask the customer what they need or want and show how this can be achieved with the use of your services. This is something that non-sales people can feel comfortable with and therefore do. If the customer does not, at the moment, need what you have to offer, then you have nothing to sell. If you do manage to palm them off with something that they don’t really want, then they will be dissatisfied and they won’t buy from you again. Whereas if you just say that, unfortunately, you are not able to help at the moment but that you’ll keep in touch, even promising to come back in six months time, perhaps, then you’ve been honest and you’ve still got a contact. If you sell encyclopaedias, then you only sell to each customer once, so it doesn’t matter so much if you’ve conned them. With relationship selling, you are selling an ongoing relationship, hopefully for many years. If you con your customers at any time, the relationship is lost. Businesses need to grow to survive so they need to sell. And by selling more, they increase the job security of their staff as well as the probability of providing more interesting work in an expanding company. Everyone understands this, but to conquor the inertia non-sales people have to promoting their services and products, they need to develop the skills to sell in a ‘non-salesey’ way. So, if the products and quality of service you sell are more or less identical to your competitors, why should a prospective customer choose you rather than them? Well, assuming you’ve got your product and pricing about right, then the only difference is the people. Business is about people. One company does not do business with another company. People from one company do business with people from another company. To be successful you need to get on with your contact. You don’t have to be bosom buddies and slap each other heartily on the back each time you meet but you do need to get on well enough to do business. Your customers do need to trust you. Training your customer support, accounts, quality control, transport etc functions in Relationship Selling techniques will strengthen the relationship with your customers and provide opportunities for additional business. Your salesforce has just grown dramatically!